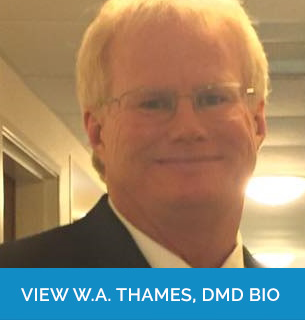 We, at Thames Family Dentistry utilize a multi-disciplinary approach to provide our patients with the best dentistry available. We focus on your overall oral health to provide a comprehensive plan for maintaining or achieving your perfect smile and optimal function. Our offices have state-of-the-art facilities and our doctors take pride in learning the newest medicine, products, and techniques through great continuing education courses. To learn more about W.A. Thames, DMD and our staff click on the picture links above. 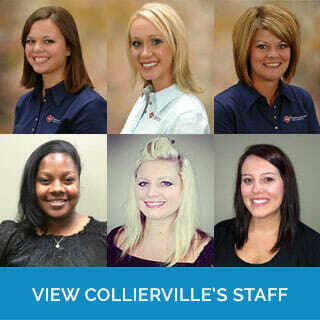 Thames Family Dentistry has two locations for your convenience: Collierville, TN located in Schilling Farms, and Nettleton, MS. At both locations, we are equipped and trained to provide excellent care for periodontics, endodontics, root canals, pediatrics, bridges, crowns, veneers, lumineers, teeth whitening, Zoom Whitening, extractions, wisdom tooth extractions, braces, orthodontics, Invisalign, deep cleanings, dental cleanings, general dentist care, family dentistry care, oral cancer screenings, TMJ therapy, tooth-colored fillings (composites) gum treatments, snoring appliances, and retainers. 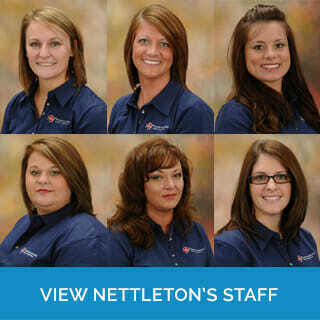 Please give us a call if we can help in any way or answer your questions. Dr. Thames is a premier preferred provider of Invisalign! Click on the logo to learn more about it! We proudly use Zoom! Whitening! To learn more about it, please click on the logo above.